So there is this magical place called the West Expo Center. It contains a wall of 18 presentations running simultaneously. You pull up a beanbag, plug into one of the receivers, and switch between the 18 presentations. I was unaware of this most awesome way to take in a conference, but the folks from TCF were. 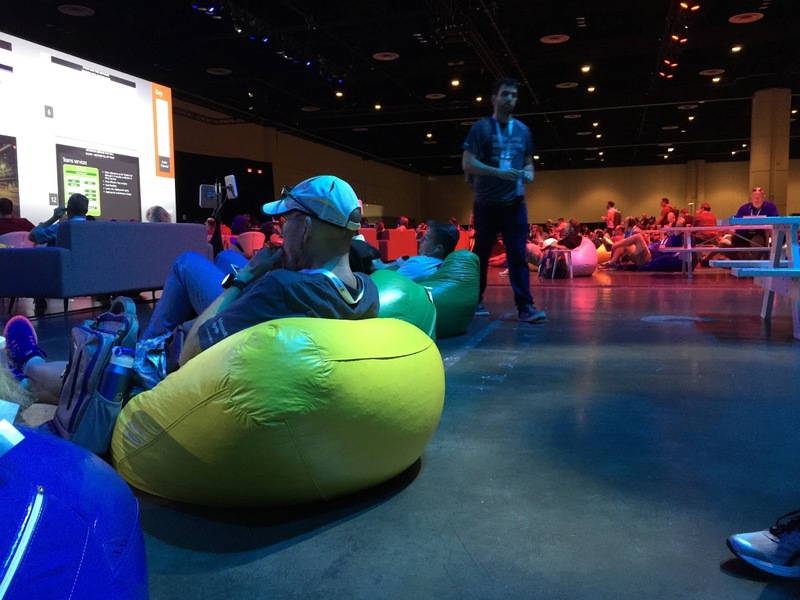 We spent the entire AM flipping between presentations, drinking coffee & tea, and lounging in beanbags commiserating about trying to roll out O365.